on the first day of school? Now THAT! is the look of someone who is ready to start her dental assisting career! Why don't you come and join? on 6059 E University Dr. in Mesa! As you can tell... it isn't quite finished. 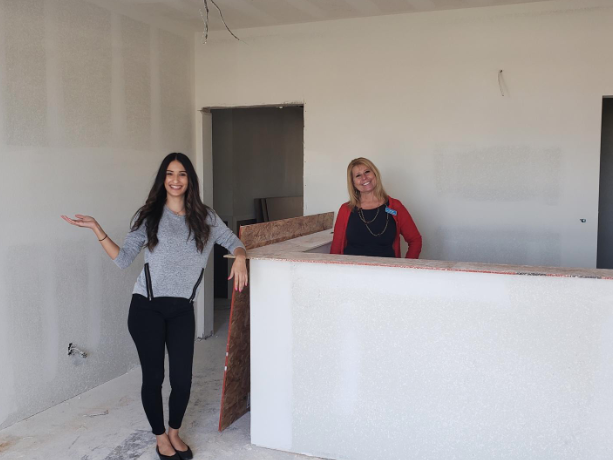 Lynda and Vanessa will be happy to show you around in a week or two when it's fully complete! Patty decided to pay us a visit! Listening to what she has to say should ease your concerns; however, if you're still a bit uneasy, come by and meet us! We'd love to show you around and walk you through a treatment plan!